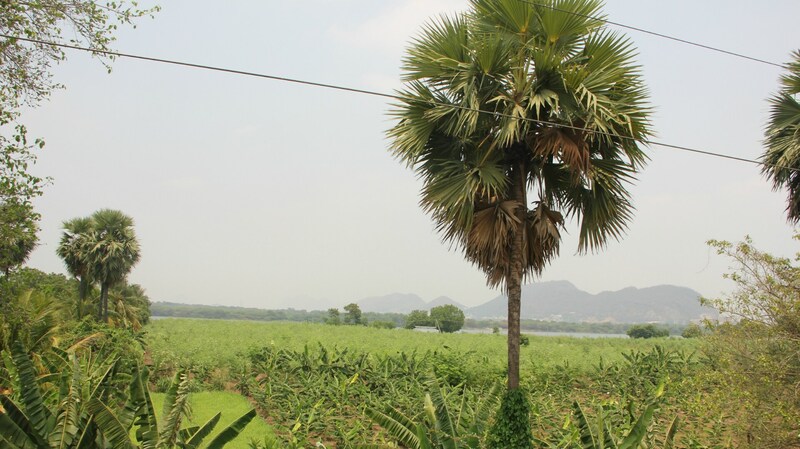 The fourth part of the series focuses on Pandalaneni Srimannarayana's battle for the protection of the floodplains of the river Krishna and against the corrupt practices in AP government's push to acquire lands near Amaravati. May 11, 2017: “When the chief minister (Chandrababu Naidu) chose Vijayawada as the capital area, I was elated like all the others in the city. That’s the natural tendency — I am from Vijayawada and I was happy that our city was getting to be the state's capital,” 74-year-old Pandalaneni Srimannarayana reminisces of a time in 2014, just after the bifurcation, of the state of Andhra Pradesh, came through and the chief minister announced the Vijayawada-Guntur region as the seat of the new capital. Vijayawada had been the business and finance capital of the state all this while, and most of its residents wanted it to be the seat of power as well. 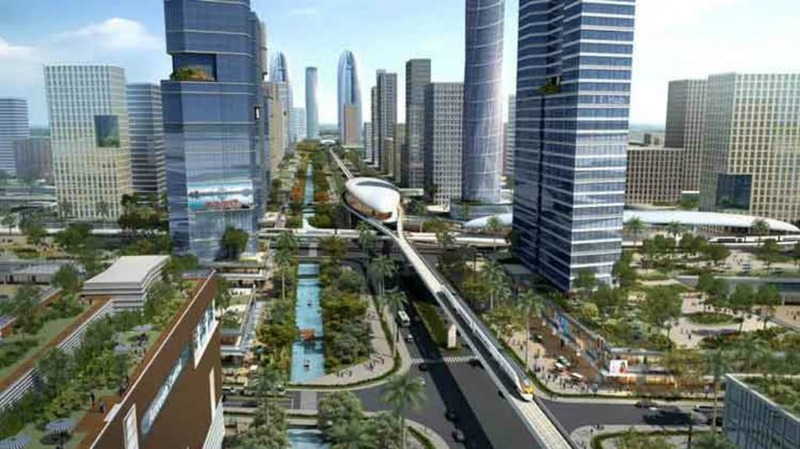 However, Naidu named Amaravati as the capital city of Andhra Pradesh, soon after. Pandalaneni, probably, was the first person in Andhra Pradesh to have raised his voice against the government's plan to build a 'world-class' capital on the floodplains of the Krishna river just a few months later. “The Sivaramakrishnan Committee included experts with impeccable qualifications. After listening to their recommendations about the proposed capital region and their strict advice to not build in the chosen region, I got curious and I wanted to understand their points better. That's how I started studying the matter in depth," explains Pandalaneni whose dissent stems from a concern for the environment. Pandalaneni does not own any land in the proposed capital region. "The NGT is only concerned with the environmental aspects of the capital city; I am dealing with only that aspect of it," he says. His friends, peers, and acquaintances do not understand the reasons behind his struggle — to save the biodiversity of the region, the agricultural lands, and the Krishna river flood plains — to take the case all the way to the National Green Tribunal (NGT). Pandalaneni is passionate about this despite his age, illness, and has taken on a debt of a few lakh rupees (that he owes to his lawyers and friends) in order to fight his case at the NGT. The environment is not a major concern among the commercially driven population in the region; finance is. And maybe this is why Pandalaneni has earned himself a moniker or two among his peers — some call him "mad", some say he is "living in a fool's paradise"; "he wants fame," said another. But Pandalaneni isn't easily distressed, "Maybe so," he says and adds, "I have lived an unprofitable life, lost livelihood opportunities and businesses several times because of my natural inclination to fight for social causes. 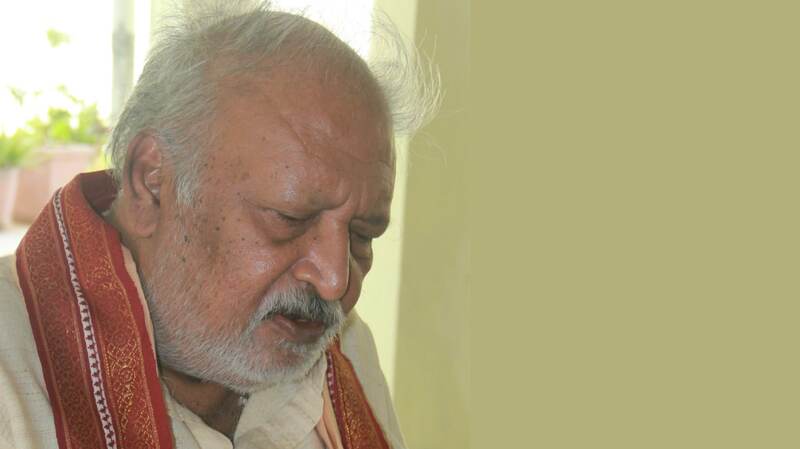 I have been moulded and motivated by PV Narasimha Rao since my college days,” he says. Pandalaneni has already spent over Rs 55 lakh on fighting his case at the NGT. 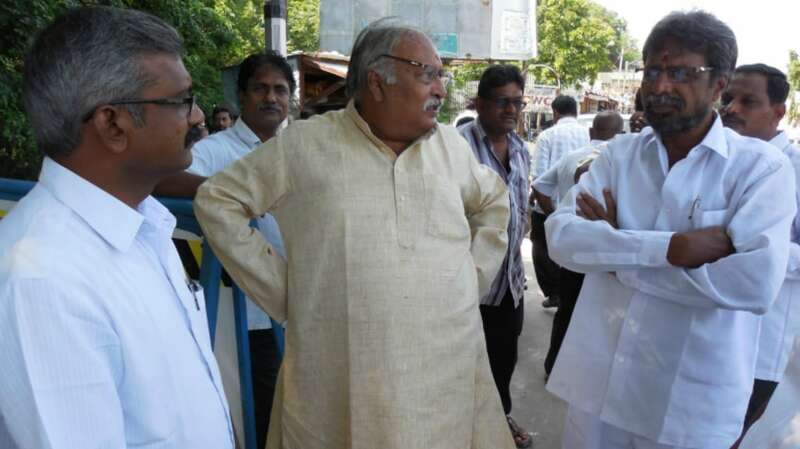 He had to sell his favourite SUV, family-owned plot in Hyderabad to pay for the expenses. “I am fighting this battle alone. I don't have anyone behind me. I just want to ensure that the rich agricultural lands in the floodplains of the Krishna river are safe. It takes millions of years for the top soil to reach this level of fertility and we should not ruin it. The capital can come up anywhere else,” he says passionately. What is so wrong about having a riverside, 'world-class' capital that serves as a lavish gateway to attract more international tourists? Several things. First, the Sivaramakrishnan committee clearly suggested that this is not a suitable place for a capital and recommended a small administrative capital by which development can spread out. We learnt the same lessons from our past. The government and private entrepreneurs had dumped money, resources, everything in and around Hyderabad. At the time of the bifurcation, the revenue generated from Hyderabad was above 24.6 percent and the rest of Telangana excluding Hyderabad generated only 8.5 percent, Rayalaseema generated only 8 percent revenues. What this means is that Hyderabad city alone generates larger revenues than the rest of the state. Development needs to be spread across a wider region, in our case, over the three areas — coastal Andhra Pradesh, Rayalseema and the north coast of Andhra Pradesh. Second, the committee suggested that this is not a viable place, even for an administrative capital. It comes under seismic zone number three — an earthquake prone area. The soil is not good for heavy construction. Black cotton soil and gypsum are not suitable to carry weight-bearing structures and this means that it would be difficult to sustainably build anything above two floors. Black cotton soil and gypsum are not suitable for building weight-bearing structures. This whole region has fertile lands which grow over 120 varieties of crops and yield at least three crops a year. There is no other agricultural hub in India that produces 120 varieties of crops or these many yields annually. A farmer can easily earn a few lakh rupees per acre from his land here. The second such hub is in Israel. So what is the point of spoiling these resources? It takes thousands of years to create a top soil of such richness, decades of efforts by farmers to enhance the fertility of the lands and it only takes minutes to destroy it all. Food security is another issue. Finally, look at the water bodies, there is lot of biodiversity here. This will also be adversely affected. The Kondaveeti Vagu — which looks like a dry canal for most part of the year, swells and floods the plains that have been identified for building the capital. Does this make sense? If you convert these river plains into concrete, it will destroy the long stretches of Andhra Pradesh’s mangroves. What kind of an impact will that have on the climate, global warming? What about the the large area of land that is being pooled and acquired? Chandrababu Naidu hopes to acquire at least 2 lakh acres of land for his 'world-class' capital. New York City has been built on an area of 4500 square kilometres. It’s the biggest in the world. Naidu wants to make the Capital Region Development Authority (CRDA) to spread over 8000 square kilometres. So does he need to build a capital for the state of Andhra Pradesh which is double the size of New York City? Prevention is better than cure. We are going to make a new capital. We should have the far-sight and build accordingly. Delhi also comes under the seismic zone, but that’s already there and we cannot change it. But when you are building a city from scratch, you plan it in a way that minimises hazards. There can be good governance and bad governance, but in Andhra Pradesh, there's no governance at all. Even the Opposition is ineffective. What aspect of poor governance are you referring to? The government has brought order numbers 109 and 110 in May 2015. What do these do? They announce the creation of a Capital City Development and Management Company (CCDMC), a corporation that has 50 percent government participation and 50 percent private participation. What would the CCDMC do? They would curtail the legislative powers of the local governing bodies, such as, the municipalities, village panchayats, gram sabhas in the vicinity of these 8000 square kilometres that the government has identified as the state capital region. The reason for doing this is to be able to fix taxes for the legislative area, among several other things. For a particular house, the quantum of tax to be collected is decided by the local legislative authority, right? It is a prerogative, it is a right for the local legislative authorities. Even a municipality is like the Parliament, it has legislative power. But through the CCDMC (presently name changed to Amaravati Development Corporation Limited or ADCL) will decide the amount of the taxes to be collected from the public, or how to utilise the amount. As per the 73rd and 74th Amendments of the Constitution, the local elected bodies are supposed to carry out this function. But now, through these organisations, this constitutional guarantee has been surpassed in the capital region, isn’t it? Amaravati is an agricultural hub, it cannot be treated as an industrial sector. Coming back to your petition at the NGT, both sides now have presented their arguments, and the judgment is pending. In the last session, you pointed at some forgery done by the Andhra Pradesh government. Could you elaborate on that? I detected certain instances of forgery from the Environmental Impact Assessment (EIA) and Clearance documents that are available on the APCRDA website. The CRDA says that they have assigned Tata Consulting Engineers Ltd to study and file reports of EIA and EMP on the proposed capital city of Amaravati. CRDA further says that based on these scientific reports, the state environment body has provided environment clearance for Amaravati. In the second page of this report, the Deputy General Manager of TCE declares that the organisation shall be responsible for any misleading information, and he signs as Ashish Deshpandey. Underneath his signature, the date is shown as 28 July, 2014. But, APCRDA came into being with a Gazette notification on 30 December, 2014. By the logic of deduction, it seems that CRDA had prepared the EIA and EMP reports and carried the predated signature of Ashish Deshpandey. Forgery is a serious criminal offence under Section 420 of the Indian Penal Code and Naidu happens to be the chairman of the CRDA. Why would the CRDA (Andhra Pradesh government) do such a thing as prepare the EIA and EMP reports by themselves and forge the signatures of TATA officials? To respond to this point, I have to go back to the earlier proceedings that took place at the NGT. The senior counsel for CRDA told the NGT as early as 10 October, 2015 that they cannot call for any environmental clearances and permissions of any government department since Amaravati was just being talked about; they are not constructing any buildings or roads, and that they will acquire requisite permissions whenever required. However, the CRDA started clearing the lands, laying roads, and constructing sheds for the grand purpose of placing the foundation stone by the prime minister soon after. Ministers bulldozed the banana orchards and other crops — I have taken photos and videos of these activities and I have submitted them to the NGT. The judges found that the counsel for NGT were lying before them and granted stay orders on not only construction in that area but also in the neighbouring farms and lands. The CRDA flouted the judicial orders of NGT and continued with their work. Once more, I took photos and submitted them to the NGT, and filed a contempt petition, which was then approved by the NGT. In these circumstances, the CRDA sensed that they could receive a severe blow since they did not have an environmental clearance and other required permits. They hurriedly prepared the EIA and EMP reports and obtained the environment clearance. The state environment body also worked with the CRDA and gave a pre-dated clearance. After I brought this information about forgery to the NGT, the matter has been recorded. Forgery is a serious criminal offence under Section 420 of the Indian Penal Code and Naidu happens to be the chairman of the CRDA. The NGT has reserved its judgment and I am positive that all those associated with the forgery, cheating and impersonation, and conspiracy will be prosecuted.